After the First World War wrecked the Imperial German and Imperial Russian battle fleets, Sweden’s three coast-defense battleships of the Sverige class emerged as the most powerful surface units in the Baltic Sea. Swedish doctrine evolved to match this, with the squadron now tasked to meet and engage an invading enemy in the middle of the Baltic Sea rather than awaiting them close to shore. To aid in that mission, the Swedes sought a seaplane carrier capable of operating with the battle fleet. The first design called for a small ship, 5,000 tons, with a through-deck for handling aircraft and a capacity of 12 seaplanes. Since the naval budget of the time (1926) would only allow the one ship, mission creep set in. The new ship would have to not only scout for the fleet, but also replace the old armored cruiser Fylgia and the minelaying cruiser Clas Fleming. So the ship needed to carry a cruiser’s guns plus mines and mine rails. Not until 1930 did the design become finalized; somehow, the designers managed to cram all of that into a 4,600-ton hull. Gotland was laid down in Göteborg in 1930 and commissioned in 1934. 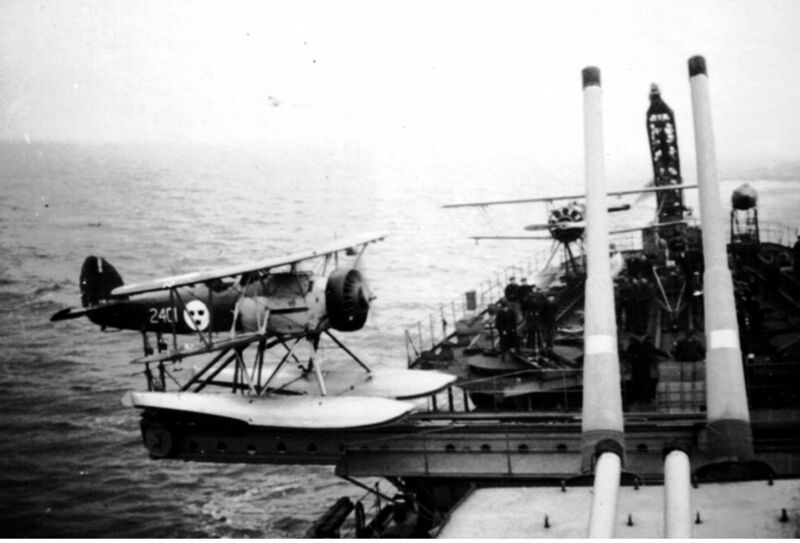 Fitted for eight seaplanes, she never carried more than six Hawker Ospreys (all that the Swedes could afford) and in service she showed her compromise nature – rather than retire the ships she “replaced,” the Swedish Navy thought it necessary to rebuild them during the 1930’s to keep them in service. Gotland prepare to launch one of her Hawker Ospreys. By the time World War II broke out, Gotland’s role had been made obsolete by improved aircraft performance: land-based recon planes could easily reach any part of the Baltic covered by her aging Ospreys. Unable to obtain better seaplanes, the Swedes removed the ship’s catapult and aircraft-handling gear and rebuilt Gotland as a fairly poor anti-aircraft cruiser. After the war she became a training ship, serving until 1956. 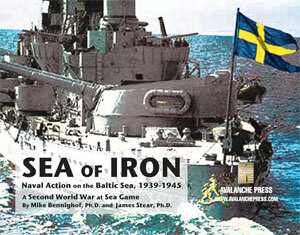 By the 1930’s, Sweden’s aging coast defense ships no longer dominated calculations of Baltic Sea naval power. The Swedes did little to modernize their forces until a sudden realization in the late 1930’s that war loomed on the horizon and the League of Nations would do nothing to prevent it. While the Royal Swedish Navy wanted a new series of coast defense battleships and studied a number of proposed designs, those couldn’t be ready for several years’ yet. And so Sweden began shopping for both warships and high-performance aircraft, finding the market very tight for weaponry both new and used. Only in Italy, desperate for hard currency, and the United States, open for business with all, did the Swedes receive serious responses. Sweden desired an immediate boost to their surface fleet, and wanted to purchase warships already in service. The U.S. Navy offered its two oldest “Treaty cruisers,” Salt Lake City and Pensacola. Poorly designed, the two cruisers had come in well under their designed weight, with weak underwater protection (with only two huge boiler rooms, a single torpedo hit amidships could cause fatal flooding), lower freeboard than specified and obvious structural weaknesses (Salt Lake City soon earned the sailors' nickname Swayback Maru). But they did offer enormous firepower by Baltic standards, with more guns than the new German heavy cruisers and more and bigger guns than the newest Soviet “heavy” cruisers. Outgunned only by the Soviets’ pair of ancient battleships – which never deployed more than a few kilometers from their bases - they would be the most effective units in the Baltic. Italy countered with an offer of four cruisers, the entire Alberto da Giussano class of small but extremely fast light cruisers. Lightly built and nearly un-armored, they offered very high speed (37 knots, though Italian builders maximized this by running trials without armament or a full load of fuel) and good firepower for their size (eight 6-inch guns, six 3.9-inch guns plus torpedoes). The Swedes liked the Italian ships’ speed, which fit their doctrine of high-speed torpedo attacks by destroyers, but ultimately went with American firepower. At that point American Congressmen began asking why the U.S. Navy was selling off capable warships while at the same time asking for huge appropriations to build new ones. The Americans withdrew their offer for the cruisers, as well as authorization for the Swedes to buy high-performance fighter planes from American manufacturers. By the time the Americans had finished reneging, Italy had become entered the war and was no longer willing to sell her cruisers, either. The two American heavy cruisers appear in Sea of Iron in Swedish colors, under the names Styrbjörn and Starkodder (carrying on the names of the two heavy “archipelago frigates” that played key roles in the crushing Swedish victory at Svenskund in 1790). They’re very formidable compared to Soviet cruisers, and more powerful than German ones though much more vulnerable to damage. Denied their cruisers from foreign sources, the Swedes set about building their own. The Italian firm of Ansaldo submitted designers for a powerful coast-defense battleship and also for a smaller, cruiser version. The Ansaldo heavy cruiser had a very similar layout to the bigger ship, with six 8-inch guns in twin turrets in the same unusual arrangement as the battleship (one turret forward, two aft). Contrary to the usual Italian practice, she gave up some speed for better protection and unlike the battleship version she carried a seaplane and torpedoes. A well-balanced design, Ansaldo hoped to get construction orders for the ship placed in their own shipyard, but the Swedes appear to have intended to build them in Swedish yards. Two examples appear in Sea of Iron, under the traditional names Wasa and Enigheten (for the old Swedish royal dynasty, and “Unity,” an oft-used name for Swedish ships of the line). Meanwhile, the war continued all around Sweden as Germany overran the Netherlands. The Dutch had placed orders with Bofors, the Swedish arms maker, for 6-inch guns in triple and twin turrets for their new Eendracht-class cruisers building in Dutch yards. The Swedish government bailed out Bofors by buying the turrets, and ordered the Navy to find some use for them. Two triple and four twin turrets had been completed, and the Italian shipyard Cantieri Riuniti dell'Adriatico produced a design for a cruiser with seven 6-inch guns and very powerful anti-aircraft armament. The Swedish Navy placed orders from two Göteborg shipyards for one cruiser each, but controversy broke out over the Bofors bailout and the seeming acceptance of a much weaker ship than originally desired in order to benefit a politically-connected arms maker. Construction did not begin until 1943, with the two ships completed in 1947. The two cruisers, named Tre Kronor and Göta Lejon (“Three Crowns” and “Lion of the Goths,” traditional symbols of Swedish royalty), spent more time in dockyard hands for refit and repairs than in actual service. Tre Kronor went into reserve in 1958 and was stricken in 1964; Göta Lejon received an extensive reconstruction in the late 1950’s and was sold to Chile in 1970. Both appear in Sea of Iron, and see action against the Soviets in hypothetical scenarios.